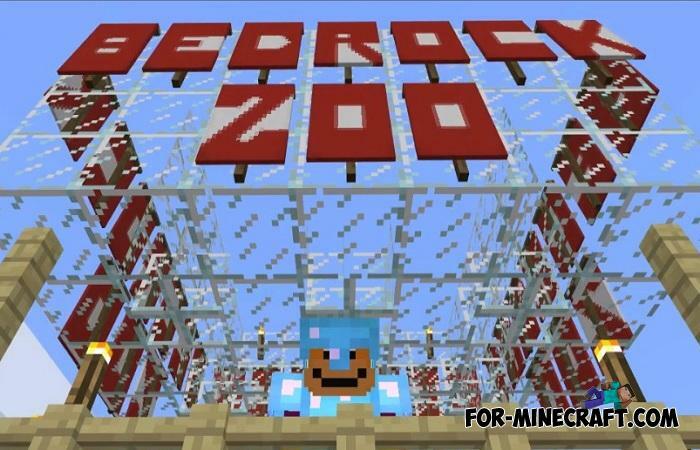 This is the first full-fledged zoo built in Minecraft Bedrock Edition. 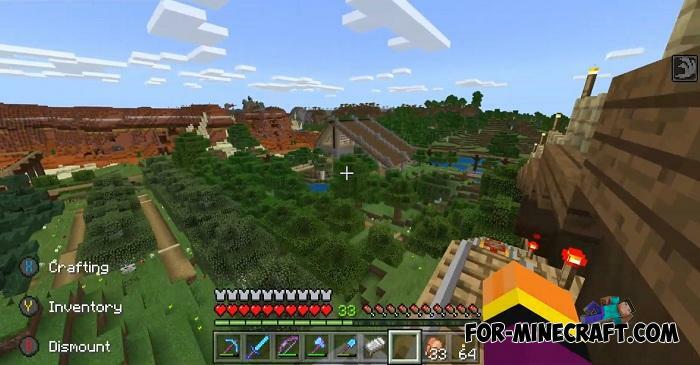 It is huge and located on several biomes. 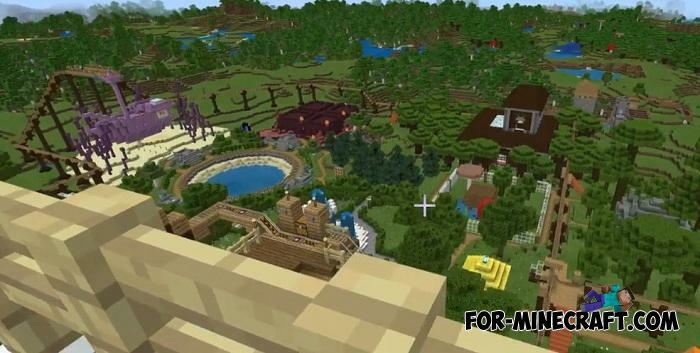 You start on the central mountain which is connected to all parts of the zoo. 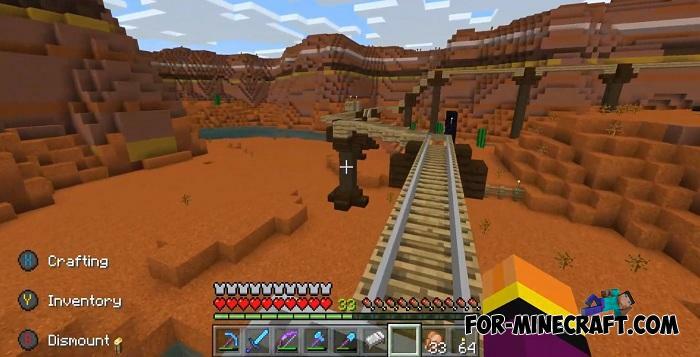 From there, the railway starts, get into minecart and go on a short journey. Plates are a guide in some way and to see as much as possible, MCPE Zoo consists of stops where you can freely exit. The zoo is really big, it is divided into zones and thanks to the trolleys you can very quickly get from one part of it to another. There are even portals here, this place is so diverse. Do not be surprised if you see anything else that does not relate to the zoo theme. 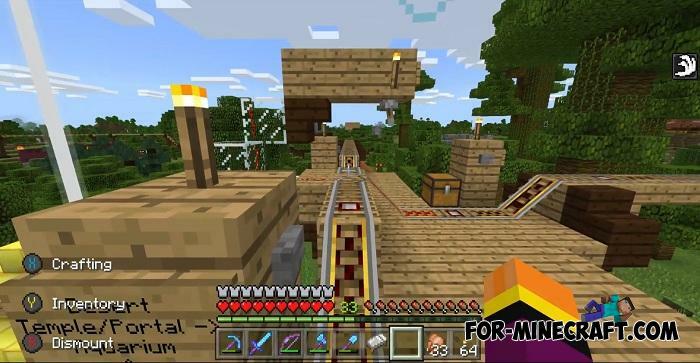 Parkour Portals Map for Minecraft PE 1.9.0.5+Here is an interesting parkour with a storyline for MCPE that will appeal to you or those who will play with you..